Between 2014 and 2018 nations worldwide will commemorate the centennial of World War I. As the world’s first global war it would claim the lives of approximately 9 million combatants and 7 million civilians and change political, national and cultural identities across the world forever. World War I was a transformative moment for America. It propelled our still young nation into a world-wide conflict and required an unparalleled national mobilization of troops and supplies. 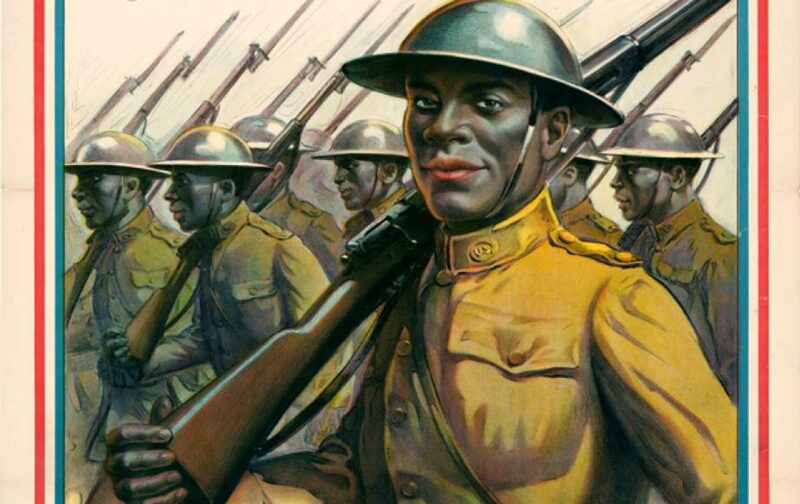 By 1917, America entered the war, sending 4 million soldiers, including 350,000 African American men who were drafted or volunteered alongside their white comrades. By 1918, all were asked to sacrifice for the war effort. Sable Soldiers is the story of those African heritage men and the many women who would join them to contribute greatly to the war effort at home and abroad. 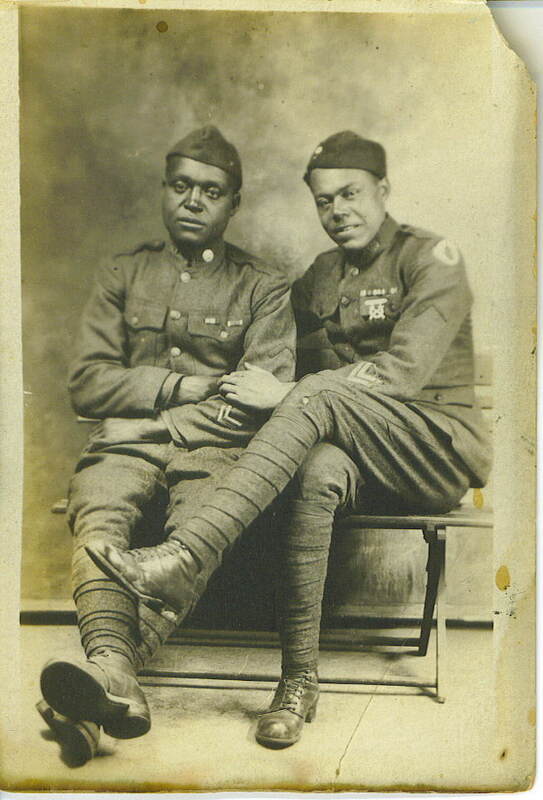 Despite the harsh discrimination of the 19th century spilling over into the start of the 20th century and WWI, African American men and women came forward to serve their country. They would utilize the threat to country and home to seize the opportunity to gain respect and equality that would later shape the civil and equal rights movements of the 20th century. 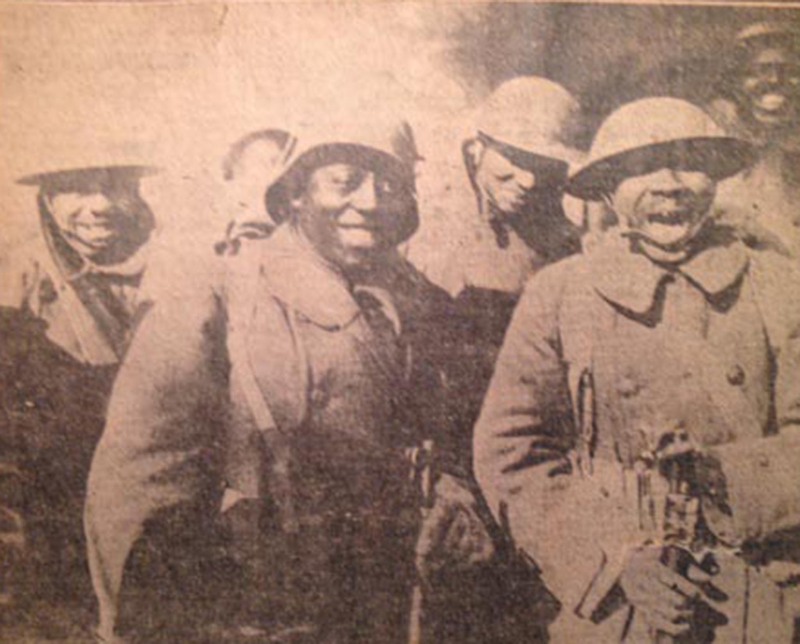 Ironically, the only African American soldiers that saw combat would serve under French command within the 157th Red Hand Division. Sable Soldiers is a starting point to present the complete history of America and the heroic contributions of Americans of African heritage at home and overseas from the perspective of those that served at home and “over there.” The intention of this online narrative is to introduce the reader to the African American experience during WWI. Since the authors are New England based, the information will have a focus on the war experiences largely from the State of Rhode Island and the City of Newport. It is our hope the historical information presented will encourage viewers to want to learn more and augment the many additional historical experiences of African heritage men and women during one of the world’s most defining moments.